Update Your App To The Latest Versions With Hyperlink Infosystem! With the increasing technological advancements, a lot of changes are witnessed in the mobile apps. The addition of new features and functionalities have made applications more exciting and user-friendly. In such scenarios, if your mobile app is still clinged with the older version, people are likely to dump your app. In order to stay paramount in the app market, you need to make your app compatible with the latest features and versions. So, is your app still stucked with the older features and versions? Haven't updated your app since long? Want to re-skin your mobile app with the latest versions? If the answer to all these questions is a big YES, then Hyperlink Infosystem is the best place for you to connect. It is one of the top mobile app development companies in South Africa that holds the best experience in re-skinning and updating your app in latest Android, iOS and Windows platforms. Why You Should Update Your App? Well, updating your existing app not only improves your app performance but, it also increases usability, flexibility, and security of an app. Regular update in an application is highly essential. It will not only increase users loyalty towards your app but, it will also help you to fix bugs and deliver best services to your users. 1. You can upgrade your app to work with Siri. 2. You can take advantage of iMessage app for easy, fun loving and seamless communication. 3. Deliver push notifications with amazing look and feel. 4. Integrate revamped versions of the Map for more accuracy. 5. Compatibility with iPhone 7 and 7 plus. With the latest updates brought by Google and Windows in form of Nougat 7.0 and Windows 10 respectively, both the platforms are in the race to provide better services to their consumers. Being the top mobile app development company in South Africa, app developers at Hyperlink Infosystem has vast experience in updating and re-skinning app to the latest versions along with enhancing the user experience of your app for better usability. We Strive Hard To Build Innovative And Game-Changing Applications! Our Android and Windows app development team has been successful in integrating and updating an app to latest OS. The Integration of new multi-window support in Android allows users to communicate with multiple apps at same time. Likewise, the new Cortona feature in Windows works exactly like Siri. Hyperlink Infosystem upgradation service is appraised and recommended by many of the esteemed clients. The integration of runtime permission in Android and sending notifications via Firebase allows you to evaluate notifications effectiveness. The Development of a universal app, Integration of Cortona, and implementing WNS push notifications in Windows has given goosebumps to clients by making windows app “more smarter” than before. Why Hyperlink Infosystem For Updating Your App? That's indeed the best question! 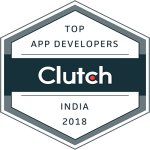 Well, serving clients in the industry with 2000+ applications for more than 5 years has given us vast experience in app development regardless of the platforms and industries. With such an intense competition in the thriving mobile app industry, Hyperlink Infosystem stands out in the market by delivering secure, robust and scalable apps. To update your business app, drop us your requirements. Contact us now.